What is the best image to use for SEO? This article helps you understand what the best type of image is to use in your recipes for SEO purposes. From an SEO standpoint, not all images are created equal. Google specifically has a variety of image suggestions and recommendations that will help improve how your images appear in search results. There are two image orientations that Google displays with search results: horizontal and square. This is of note because most images food bloggers use are in a vertical format. When Google crops the photo to one of these orientations, it will crop the photo in the dead center of the photo. When you save a Tasty Recipe, the three recommended image sizes are generated for the image selected for that recipe. These three images are all included in the structured data so that Google can use whichever one fits their application best. We don't have any control over which image they choose to use, all we can do is provide the ones they recommend! Let's talk about the horizontal orientation and crop a bit more. Take, for instance, the below image. It has a vertical orientation with the focus of the image closer to the bottom. When it is cropped into a square (teal lines), the result is okay, but not ideal. 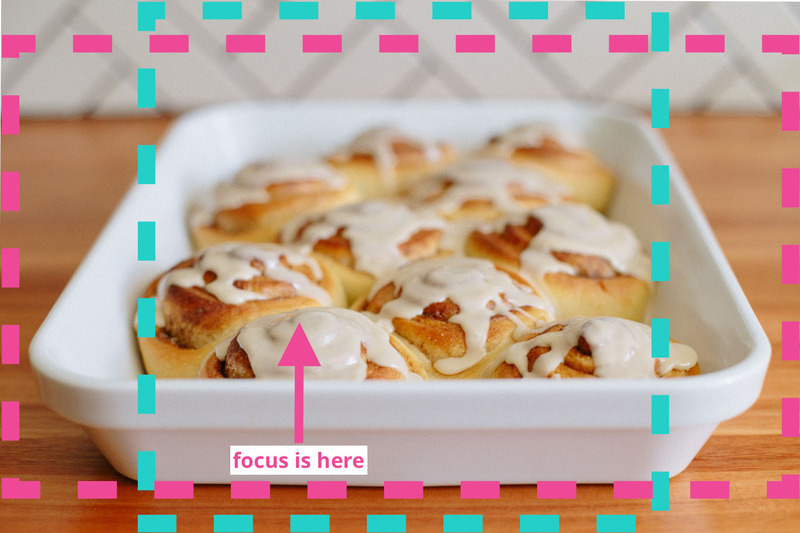 However, when it is cropped into a horizontal format (pink lines), the entire in-focus area of the photo is cropped out, and what results is an image being used in search results that is totally out of focus. A better image to use would be one like below, that is a horizontal format and that keeps the focus of the image in the frame of both crops. If you're concerned about using such a large image and how it will affect your site's load time, don't fret! Tasty Recipes will display a small thumbnail image on your actual site so that it won't slow down load time. 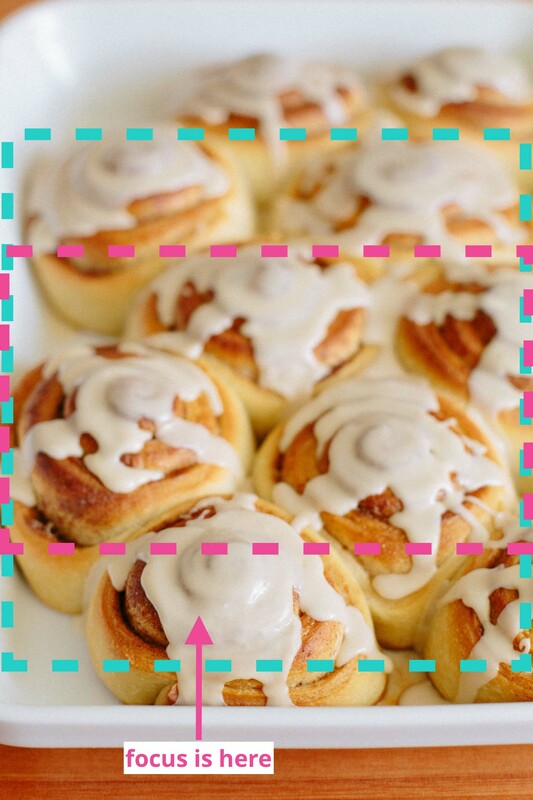 To upload your image, open the recipe editor and click "Select Image" over to the right. The media chooser will appear, and you can select the image that you want to use.